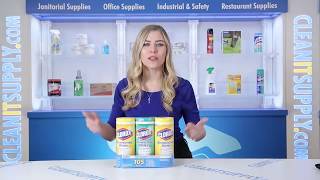 These bleach-free, pre-moistened wipes clean and disinfect in one step. 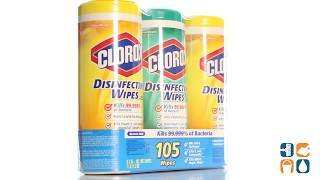 Clorox Wipes kill 99.9% of bacteria, including staph and salmonella. They are ideal for use in day care centers, offices, schools and restaurants and effectively kill germs on acrylic, ceramic, chrome, fiberglass, plastic and more. Each 3 pack includes 2 Citrus Blend and 1 Fresh Scent canister. Order yours today. Buy in bulk and save big!